Corsair has this week added a new addition to their range of backlit gaming keyboards, in the form of the newly launched Corsair Vengeance K70. The Vengeance K70 keyboard is equipped with highly responsive Cherry MX Red mechanical switches under every key, with a 100% anti-ghosted matrix, 20-key rollover and 1000Hz reporting rate. 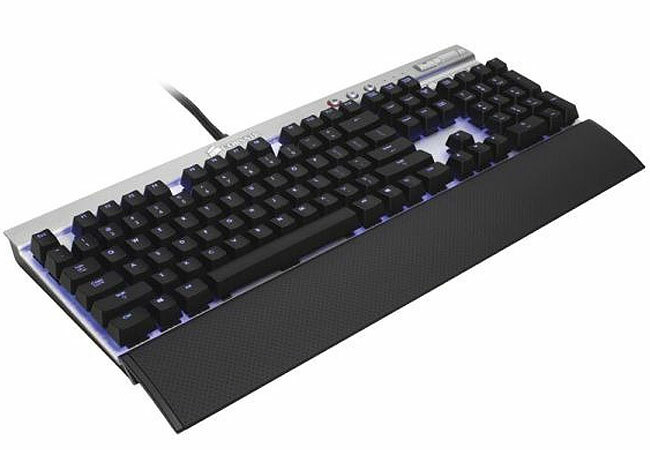 The Corsair Vengeance K70 keyboard is available in two colour schemes: silver aluminium with blue backlighting, and anodised black with deep red backlighting, and will be available next month for around $130.